Refined Craftsmanship. The Gear S3 combines the craftsmanship of classic watch design into a modern smartwatch. Always-on watch face. It's the Always on Display that gives the Gear S3 Frontier's 1.3-inch Super AMOLED display the look of a traditional watch. Answer Calls. With the Gear S3, you can take and make calls with its built-in speaker. * You can also check voice messages and hear the alarms you set. Equipped to Explore. With a built-in GPS on the Gear S3, your phone can stay tucked away in your backpack and you can still get optimized hiking routes. The Gear S3 has the aesthetics of a premium watch with advanced features built right into the watch design. 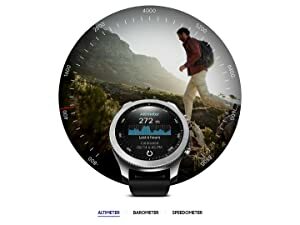 That’s why it’s so easy and effortless to use the Gear S3. From work to weekend adventures, the new Gear S3 is designed to do everything you do. 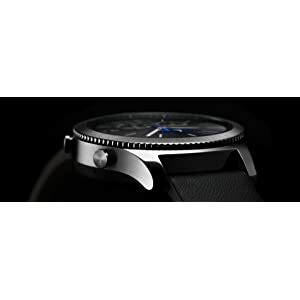 The Gear S3 combines the craftsmanship of classic watch design into a modern smartwatch. Framed with a stunning rotating bezel, the crisp watch face features a full-colour always-on display, so there’s no need to gesture or shake before checking your smartwatch. 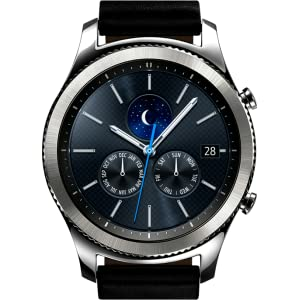 The Gear S3 Classic is a forward-thinking choice that offers a timeless design. * This device has been tested and received an IP (Ingress Protection) rating of IP68, which tests for dust intrusion and for water submersion up to 1.5 metres for up to 30 minutes; rinse residue/dry after wet. Not shockproof. Not suitable for swimming or diving. 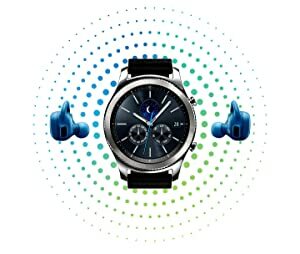 With the Gear S3, you can take and make calls with its built-in speaker. * You can also check voice messages and hear the alarms you set. * Bluetooth model requires Wi-Fi connection. The Gear S3 has 4GB of internal memory so you can take your music with you. Listen to your music without carrying your phone by pairing it with your Bluetooth headset or using its built-in speaker. 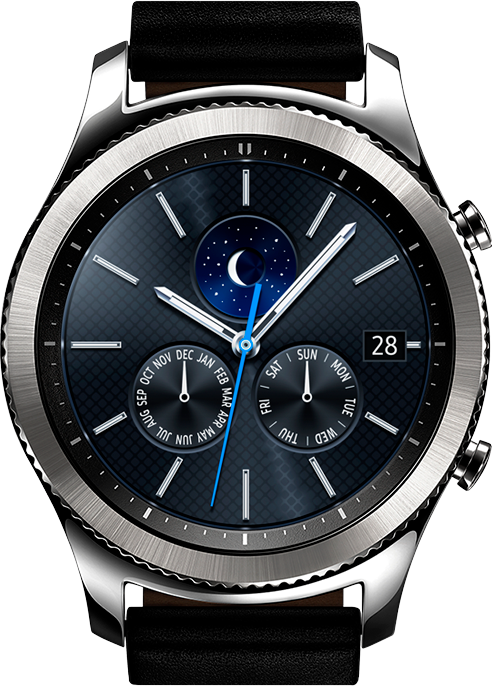 With the Gear S3, you can go for up to four days before having to recharge it. Its battery lasts that long. 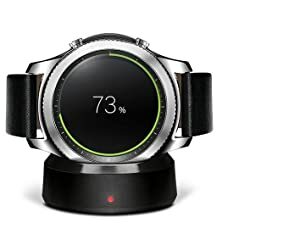 * And when it’s time for a recharge, simply place it on its wireless charging dock. * Battery life may vary depending on usage and settings. Based on laboratory testing. 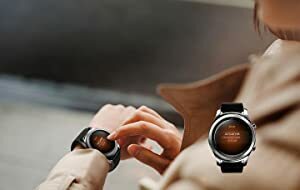 With a built-in GPS on the Gear S3, your phone can stay tucked away in your backpack and you can still get optimized hiking routes, see the distance to the next hole on the green and find the best places to eat in the area after the game. From running to mountain climbing, the Gear S3 collects your activity data and tracks your fitness levels. It’s equipped with an altimeter, barometer and speedometer, so you can check your altitude, plan for weather and track your speed.